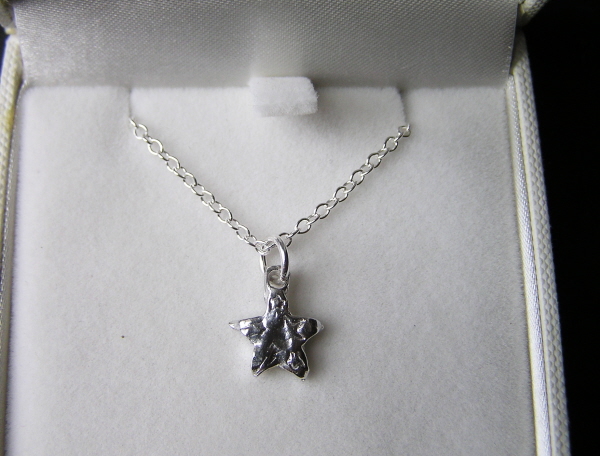 It is made with a solid silver star strung from an 18 inch Sterling silver chain. 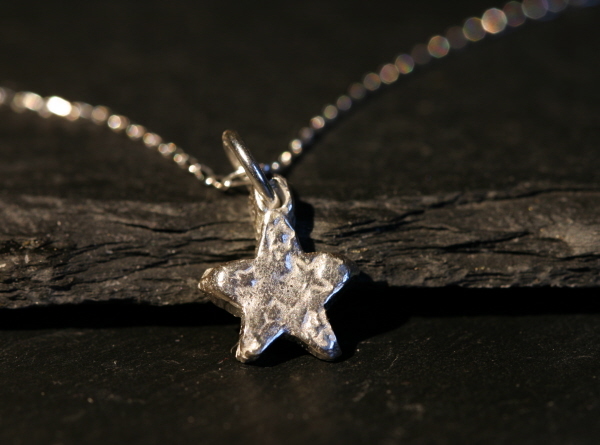 The front and back of the star also has an attractive star pattern textured into the silver. NB - This is not meteorite jewellery and does not contain any meteorite fragment. The star measures 1.3cm from top to bottom.